You can usually find us at the Harbourside Markets on Sundays or check out our social for live location updates. Crocky's Cold Brew is also available for events, in-store pop ups and office visits. TradeMe, Xero and Powershop have all treated their staff to a refreshing brew. Read more about Crocky's Cold Brew on our blog. Check out the nice things people have written about us. 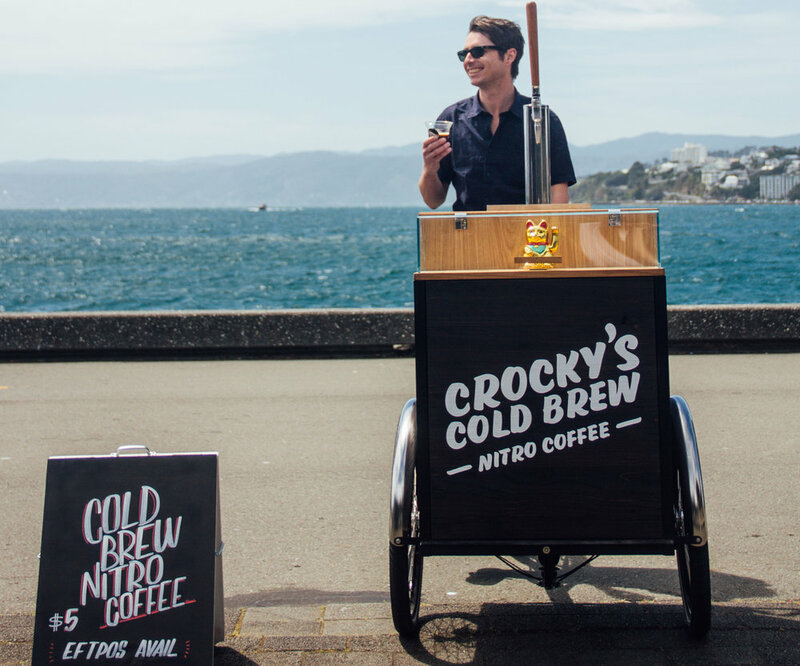 If you want the Crocky's Cold Brew bike at your next event or just want to know more about cold brew, get in touch.